Need to fill a high-profile leadership position? Our Front Page Premium Position advertisements can help. They are a fantastic way to highlight your top openings to generate maximum interest among academic leaders and executives. Your ad will be displayed on our front page in a high-visibility location aimed at attracting top executive talent. The front page ad opens to a full page ad dedicated exclusively to your job opening. Your ad will also rotate and appear on all pages of our site, inside the job seekers area and inside the employers area. This is an excellent option for recruiting presidents, chancellors, provosts, deans, and other senior level administrators. 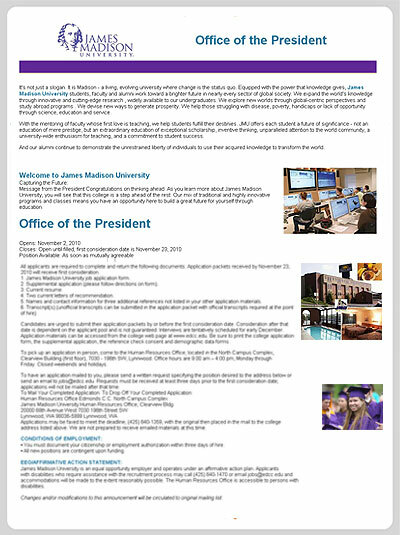 Your ad also appears on all pages of UniversityCareers and AdjunctProfessorJobs.com at no extra charge! No more paying high advertising prices for print ads that appear only one time, and on only one page. Our Front Page Premium Ad gives your ad the look of a full page print ad, and can be seen on hundreds of pages throughout our site.. You will also be able view stats and track how many times job seekers have clicked on your ad, and how many times it has been viewed. 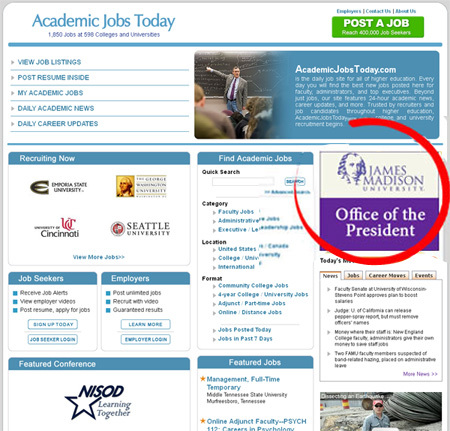 Your college's high-profile jobs deserve top-level advertising. Our Front Page Premium Ad gives your job announcement high visibility, without the high advertising price. 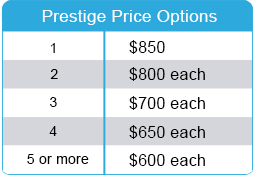 The Front Page Premium Ad price is only $850.